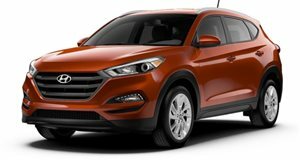 It's lighter, faster and has a longer range than the Tucson FCEV. After showcasing a pre-production prototype based on the FE Fuel Cell Concept showcased at Geneva last year, Hyundai has revealed the production version of its new fuel-cell powered SUV at CES. It’s called the Nexo, a stylish crossover with a longer range and a faster charging time than a Tesla. Described as a “technological flagship,” the Nexo is a significant part of Hyundai’s strategy to introduce 18 eco-friendly models by 2025. It has a 370-mile range which is 105 more than its predecessor, the Tucson FCEV. Powering the Hyundai Nexo is an electric motor producing 160 hp and 291 lb-ft of torque, allowing the fuel cell-powered SUV to accelerate from 0-62 mph in 9.5 seconds which is three seconds faster than the Tucson. These performance improvements are the result of the Nexo’s new dedicated architecture which has made the SUV lighter, have a better power-to-weight ratio, and more cabin space. The powertrain is lighter and takes up less space compared with the ix35 Fuel Cell. The battery is relocated to the trunk and only takes five minutes to refuel – providing you can find a hydrogen filling station. “Hydrogen energy is the key to building a more sustainable society. 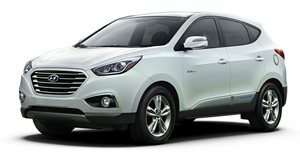 Hyundai Motor Company has already taken a lead in hydrogen technology with the introduction of the ix35 Fuel Cell,” said Hyundai's Vice Chairman Dr. Woong-chul Yang, “I am so proud to introduce to you our second-generation Fuel Cell Electric Vehicle which is a culmination of our cutting-edge technologies.” Due to go on sale in selected markets later this year, the Nexo will come equipped with an assortment of driver assists including a blind-spot view monitor with industry-first technology that uses wide angle surround view cameras on each side to show areas that can’t be seen on a traditional rear-view mirror.